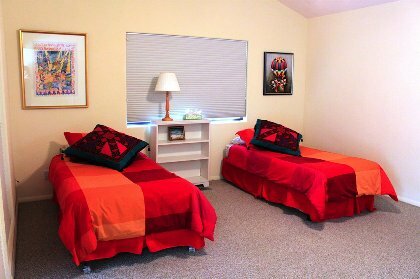 a family gathering or yoga retreat. 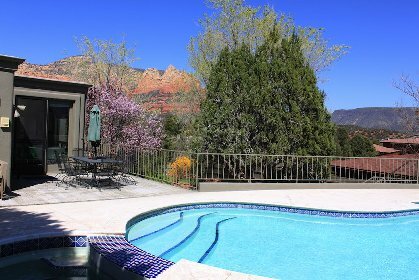 Relax by the pool or soak in the spa while you view the red rocks. 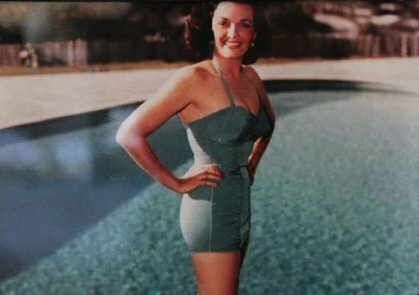 Jane once owned this property and here she is by the pool. 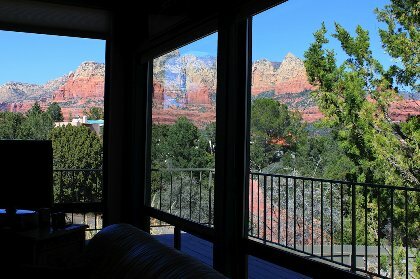 Sedona Paradise at your door. 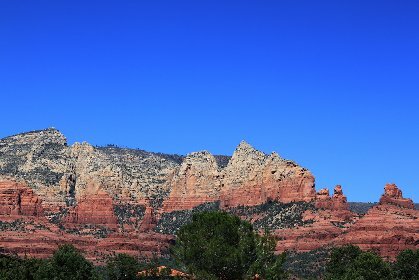 The house is surrounded by the red rocks. 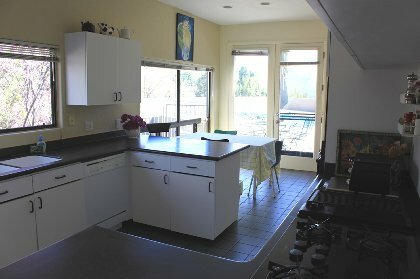 Well equipped kitchen for all your cooking needs. 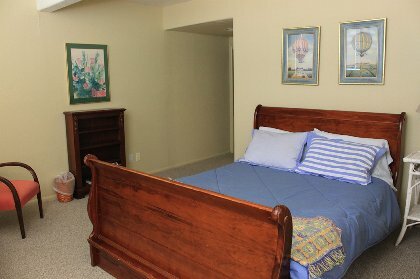 This bedroom has a door to the lower lawn and patio. 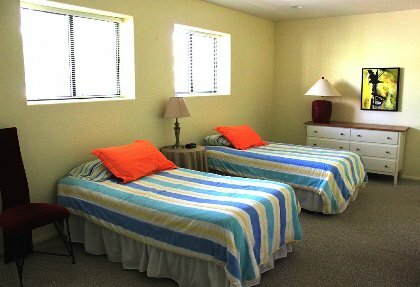 This bedroom also has a sauna and shower room. It has a door to the lower lawn and patio. This huge bedroom has a full bath. Deposit: 1000 refundable security deposit to cover any damages. Cancellations and Refunds: 20% cancellation fee up to 30 days prior to check in date. No refund less than 30 days prior to check in.